Dallas is preparing for Friday's 50th anniversary of President John F. Kennedy's assassination, and hoping to show how much the city has changed. 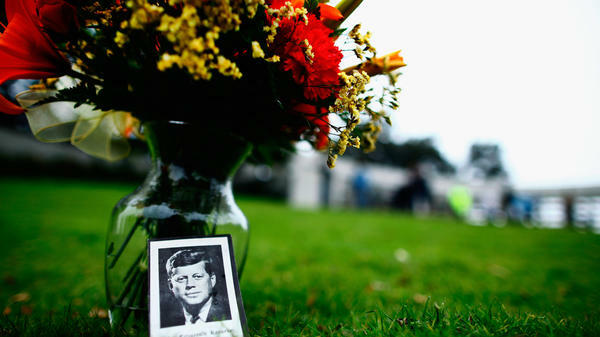 Friday's 50th anniversary of assassination of President John F. Kennedy is an important moment for Dallas: The city wants to use the occasion to demonstrate how much it has changed. In the 1960s — after the president's murder — Dallas became known around the world as "The City of Hate." And it was a hotbed of right-wing politics, a magnet for the extremes of the conservative movement at the time. If the world would like to see evidence that Dallas is no longer the City of Hate, it need not look further than the Dallas Symphony Orchestra. The orchestra is practicing for its four upcoming concerts celebrating the life — and mourning the death — of the 35th president of the United States. A Dutch conductor leads an orchestra of black, white, Hispanic and Asian musicians for whom the 50th anniversary of Kennedy's assassination is not an occasion for regret and shame but a canvas upon which they will express their fondest hopes and deepest fears for the country and themselves. "You know, cities grow and cities change," says Dallas Symphony CEO Jonathan Martin. "One of the things that I hope that this week will show the world is that the Dallas of 2013 is not the Dallas of 1963." If Dallas is now in a completely different place, that doesn't mean it wasn't a long road to get here. Dallas native Lawrence Wright, a Pulitzer Prize-winning author, was a sophomore at Woodrow Wilson High School when Kennedy came to town in 1963. "On the morning of Nov. 22, I went out to get the newspaper, and there was on our doorstep this flier and it said, 'Wanted for Treason.' And it had pictures of President Kennedy, full-face and profile," Wright says. The day Kennedy arrived at Love Field airport, the front page of the Dallas Morning News was bordered in black. The right-wing radicals and John Birchers who dominated the city despised Kennedy. The president's brother, Attorney General Bobby Kennedy, had been using the Justice Department to advance the cause of civil rights. And President Kennedy wanted to reduce or even eliminate subsidies for the oil industry, which infuriated the Dallas oilmen. "You know, it was a kind of Camelot of the right," Wright says. "George Wallace came to Dallas to announce his decision to run for president, for instance. We had Barry Goldwater, who was a senator in Arizona, but he was always in Dallas." After the assassination, a grieving nation turned its anger upon Dallas. The feeling was that if the city leaders didn't actually pull Lee Harvey Oswald's trigger, they practically loaded the gun. For the first time in its swaggering existence, Dallas was ashamed of itself. "I had operators when I went off to college who wouldn't place my calls to Dallas," Wright says. "One time in Mexico, we were on a family vacation, a couple at the table next to us asked us where we were from, and when Daddy said Dallas, they just got up and left their meal sitting on the table." Change took decades. The first step toward rehabilitation, interestingly enough, was the Dallas Cowboys, with their skimpily clad cheerleaders and head coach Tom Landry in his funny-looking fedora. They called themselves "America's Team," a quiet plea for acceptance: Let us back in. In the '70s, corporations from the Midwest and the Northeast began to move their headquarters to Dallas, and the city began to change in earnest. And then came the opulent and over-the-top TV show Dallas. Around the world, the question of who shot JFK was supplanted by the question, "Who shot J.R.?" The Earth turned and decades passed. Seven years ago, Dallas turned blue; its district attorney is black, the sheriff lesbian. But like the stain on Lady Macbeth, the blood of a murdered president does not come out easily. "The eggshells that are being walked on as we prepare for the memorial on Friday indicates that this is still a very sensitive subject," says Steve Blow, who's been a reporter and columnist at the Dallas Morning News for the past 35 years. Though Dallas has moved on, there are still many residents who care very much how this day goes. "There are folks here that are just really uptight about wanting to get it right, and to me that's evidence that we're still not over it yet," Blow says. "But I think that comes from a good place, a good heart to want to do it right and to honor this man, John F. Kennedy, in the proper way." Friday, Dallas will take one more turn at the washbasin of redemption — 50 years after the fact, wanting to cleanse its hands, its soul, once and for all. And I'm Melissa Block. Tomorrow marks the 50th anniversary of President Kennedy's assassination and it's an important moment for the city of Dallas. In the 1960s, after the president's murder, Dallas became known around the world as the city of hate, a magnet for the extremes of the conservative movement at the time. As NPR's Wade Goodwyn reports, Dallas wants to use tomorrow's anniversary to prove the city has changed. WADE GOODWYN, BYLINE: The Dallas Symphony Orchestra practices for its four upcoming concerts celebrating the life and mourning the death of the 35th president of the United States. GOODWYN: Renowned conductor Jaap van Zweden is taking his musicians through Beethoven's "Eroica Symphony." JAAP VAN ZWEDEN: (Unintelligible) so much better. Thank you for that sound. Yes? Really nice, really nice. GOODWYN: If the world would like to evidence that Dallas is no longer the city of hate, look no further than this stage. Here, a Dutch conductor leads an orchestra of black, white, Hispanic and Asian musicians, men and women, for whom the 50th anniversary of Kennedy's assassination is not an occasion for regret and shame, but a canvas upon which they will express their fondest hopes and deepest fears for the country and themselves. JONATHAN MARTIN: You know, cities grow and cities change. GOODWYN: Jonathan Martin is the CEO of the Dallas Symphony. MARTIN: One of the things that I hope that this week will show the world is that the Dallas of 2013 is not the Dallas of 1963. GOODWYN: If Dallas is now in a completely different place, that doesn't mean it wasn't a long road to get here. LAWRENCE WRIGHT: Well, on the morning of Nov. 22, I went out to get the newspaper. GOODWYN: Dallas native Lawrence Wright is a Pulitzer Prize-winning author who wrote the groundbreaking book about al-Qaida, "The Looming Tower." Wright was a sophomore at Woodrow Wilson High School when President Kennedy came to town. WRIGHT: And there was on our doorstep this flyer that said: wanted for treason. And it had pictures of President Kennedy, full-face and profile. 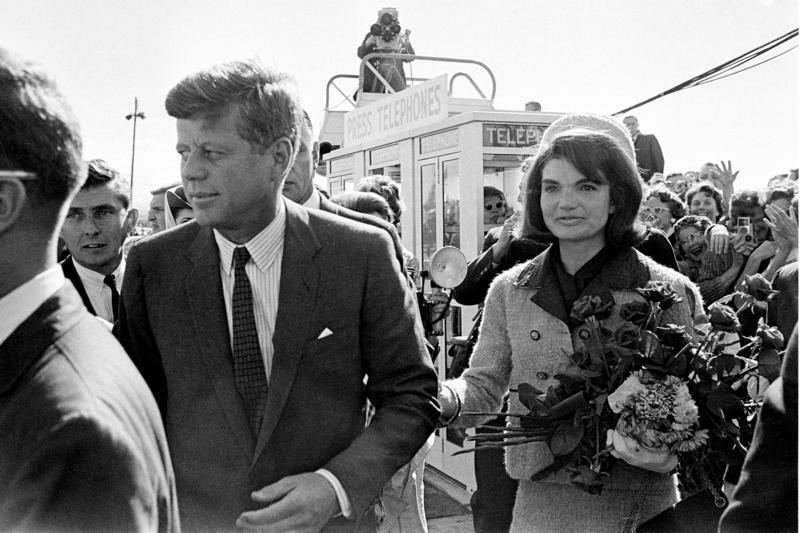 GOODWYN: The day Kennedy arrived at Dallas Love Field, the front page of the Dallas Morning News was bordered in black. The right-wing radicals and John Birchers who dominated the city despised Kennedy. The president's brother and Attorney General Bobby Kennedy, was using the Justice Department to advance the cause of civil rights. And JFK wanted to reduce or even eliminate subsidies for the oil industry, which infuriated the Dallas oilmen. WRIGHT: You know, it was a kind of Camelot of the right. George Wallace came to Dallas to announce his decision to run for president, for instance. We had Barry Goldwater, who was a senator in Arizona, but he was always in Dallas. GOODWYN: After the assassination, a grieving nation turned its anger upon Dallas. The feeling was if the city leaders didn't actually pull Lee Harvey Oswald's trigger, they practically loaded the gun. For the first time in its swaggering existence, Dallas was ashamed of itself. WRIGHT: My personal experience is I had operators when I went off to college who wouldn't place my calls to Dallas. One time in Mexico, we were on a family vacation, a couple at the table next to us asked us where we were from, and when Daddy said Dallas, they just got up and left their meal sitting on the table. GOODWYN: Change took decades. The first step toward rehabilitation, interestingly enough, was the Dallas Cowboys with their skimpily clad cheerleaders, and head coach in his funny-looking Fedora. They called themselves America's Team, a quiet plea for acceptance: Let us back in. In the '70s, corporations from the Midwest and the Northeast began to move their headquarters to Dallas, and the city began to change in earnest. And then came the opulent and over-the-top TV show. GOODWYN: Around the world, the question of who shot JFK was supplanted by the question: Who shot J.R.? GOODWYN: The Earth turned and decades passed. Seven years ago, Dallas turned blue, its district attorney is black, the sheriff lesbian. But like the stain on Lady Macbeth, the blood of a murdered president does not come out easily. STEVE BLOW: The eggshells that are being walked on as we prepare for the memorial on Friday indicates that this is still a very sensitive subject. GOODWYN: Steve Blow has been a reporter and columnist at the Dallas Morning News for the last 35 years. Though Dallas has moved on, there are still many here who care very much about how this day goes. BLOW: There are folks here that are just really uptight about wanting to get it right, and to me that's evidence that we're still not over it yet. But I think that comes from a good place, a good heart to want to do it right and to honor this man, John F. Kennedy, in the proper way. GOODWYN: Tomorrow, Dallas will take one more turn at the washbasin of redemption, 50 years after the fact, wanting to cleanse its hands, its soul, once and for all. Wade Goodwyn, NPR News, Dallas. Transcript provided by NPR, Copyright NPR. On Nov. 22, 1963, Dan Rather was far down the journalism totem pole, but he was in Dallas for President Kennedy’s visit. He was near Dealey Plaza when the president’s motorcade arrived. KERA recently talked with the legendary Texas newsman to get his impressions of what happened 50 years ago. He’s taking a look back at the assassination in a special on the AXS cable channel on Friday night.